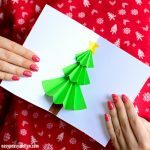 Delight your friends and family with one (or more) of these DIY Christmas Card Ideas – you’ll find lots of projects kids can make as well as cards you will want to make. From super simple that toddlers can manage to gorgeous ones you’ll want to start making right now! 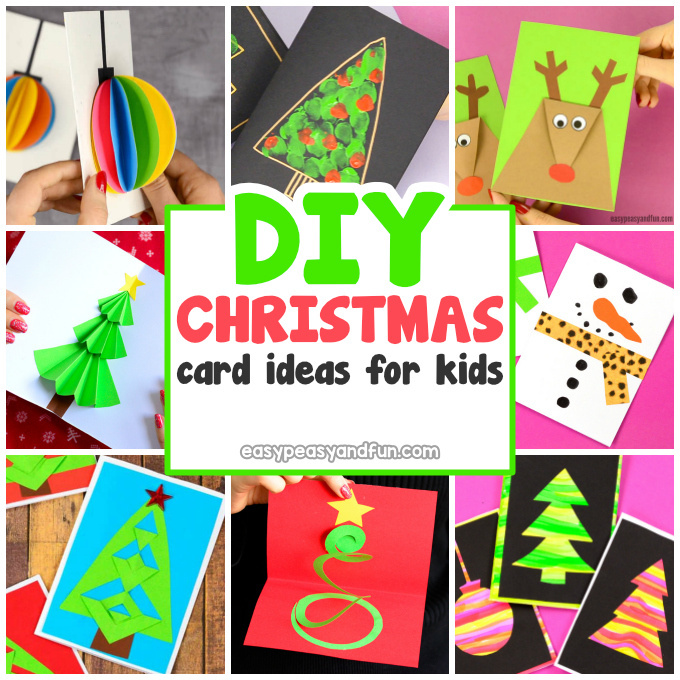 Homemade Christmas cards will always hold a special place in people’s heart and are a great way to show your appreciation of the person receiving it – be it friends, grandparents, aunts, uncles, brothers, sisters or mom and dad! 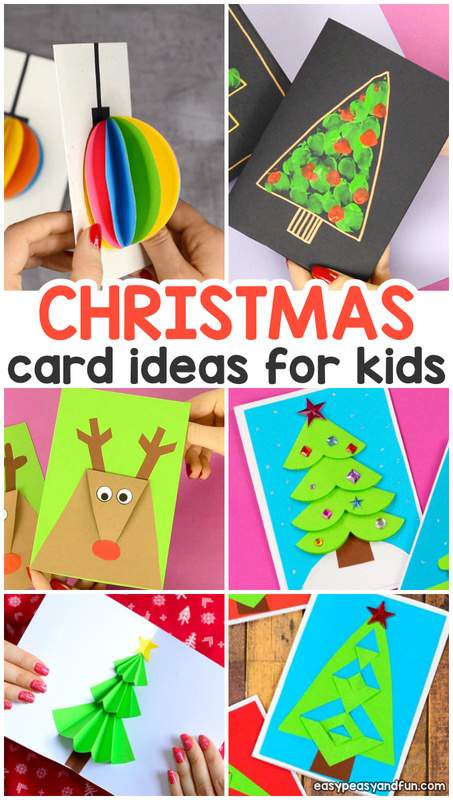 Schedule in some crafty time and sit down together with the whole family to make a whole bunch of Christmas cards this year! 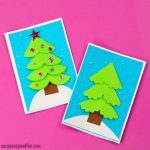 This card really stands out, as it’s a 3D one – its super easy to make, and if done with kids, provides a great fine motor exercise. You can make it in one color or make it as colorful as we have. 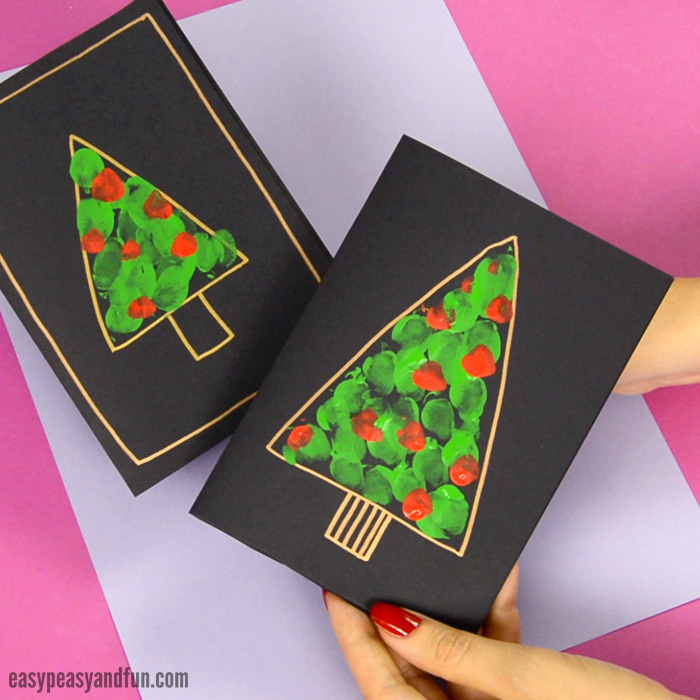 See how we made this DIY Christmas card here. 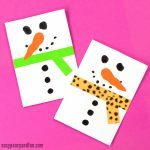 Transform a boring looking white paper into wonderful snowmen cards! What’s great about this project is you can use up any scrap paper you have from older projects. 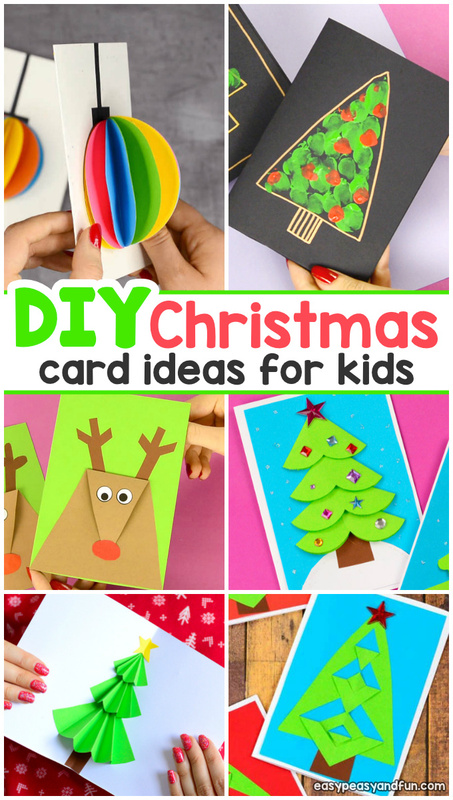 This adorable card idea is perfect for younger kids (toddlers and preschoolers) – it’s a bit messy and it’s a whole lot of fun. 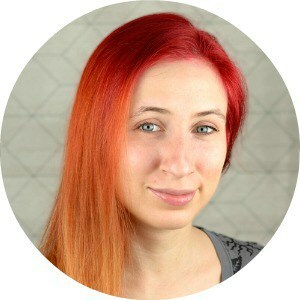 A great project if you want to include your whole family. See how we made ours here. 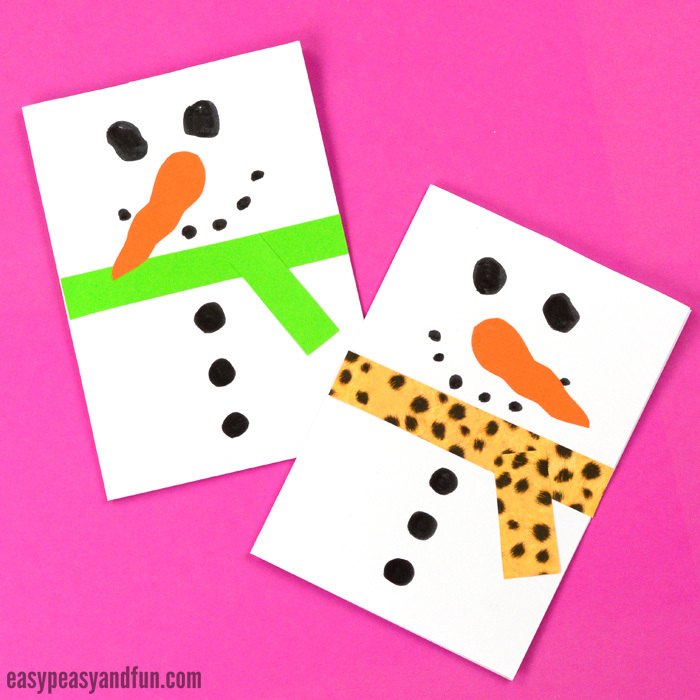 This simple card is great for practicing shapes with your kids too! You can make the nose glittery (do use biodegradable one) too. What we love about this card the most is that the head pops out just a little bit. 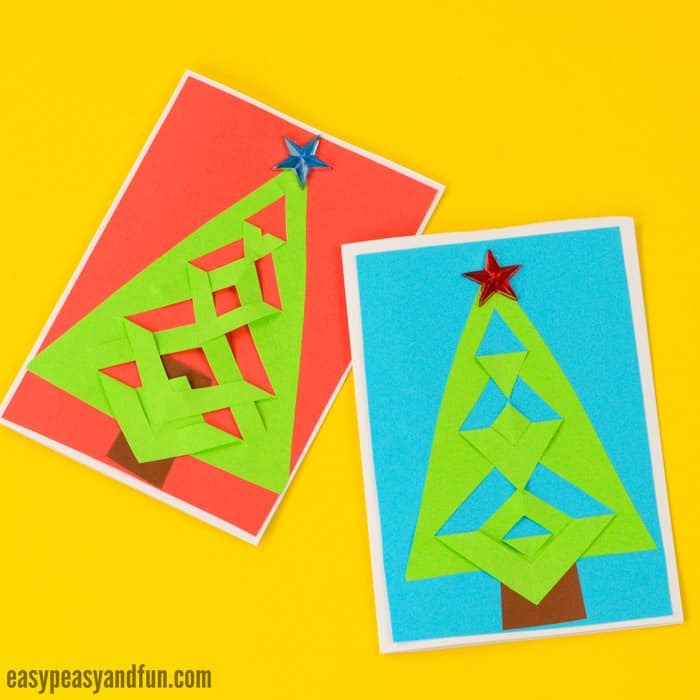 You can get this intricate looking pattern with just a few easy steps (seriously, you won’t believe how easy these cards are to make. 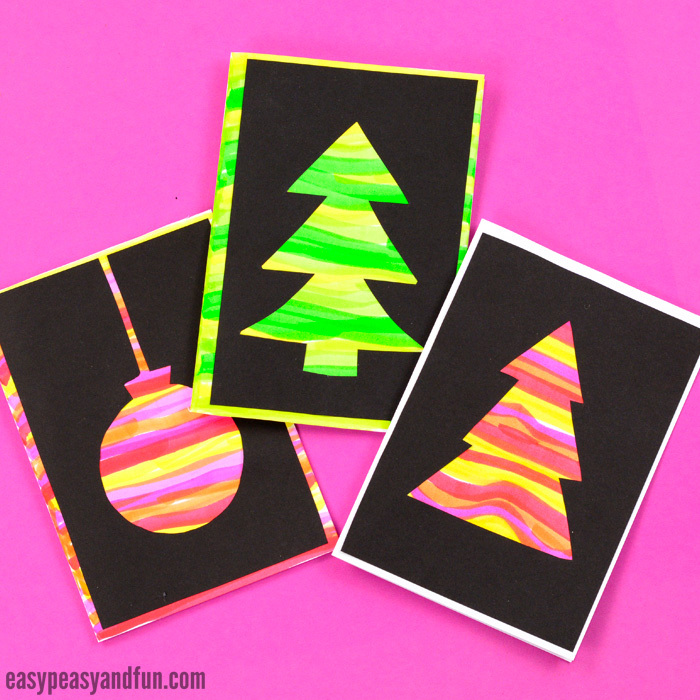 Check the step by step card making instructions here. 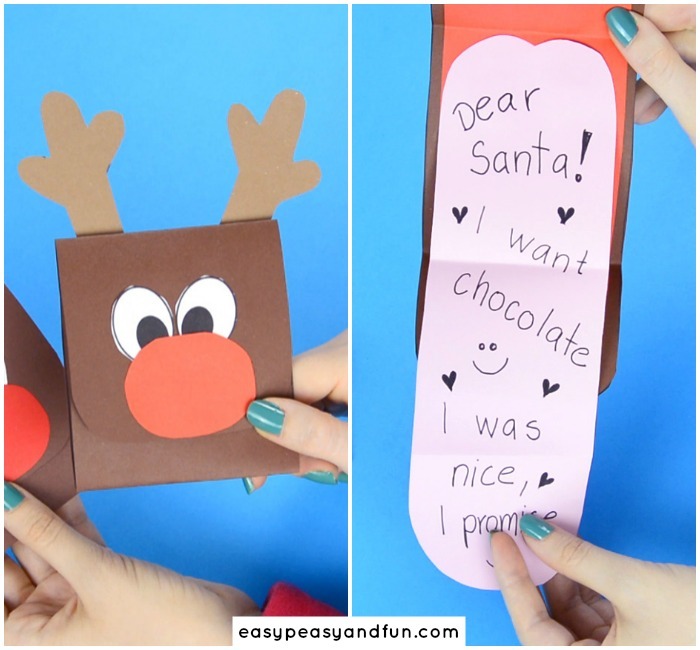 Who doesn’t love a pop up card? Snowmen are perfect for this project. 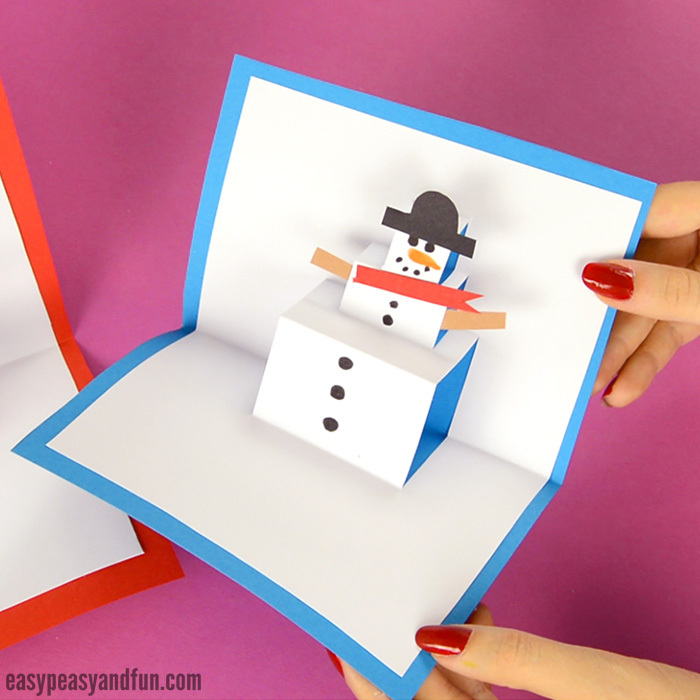 Learn how to make a snowman pop up card. Silhouette cards really pop out – you don’t have to be especially arty or crafty to make a wonderful set. Paint your own backgrounds or use scrapbooking paper, magazines…. See our tips and tricks to make these silhouette Christmas cards. 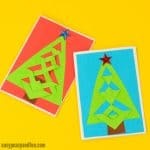 If you have a circle punch or a scallop circle punch, this Christmas card will be done in a matter of minutes. Both circle punch and scallop punch look great. See our step by step card making instructions. This one is a silly one indeed! 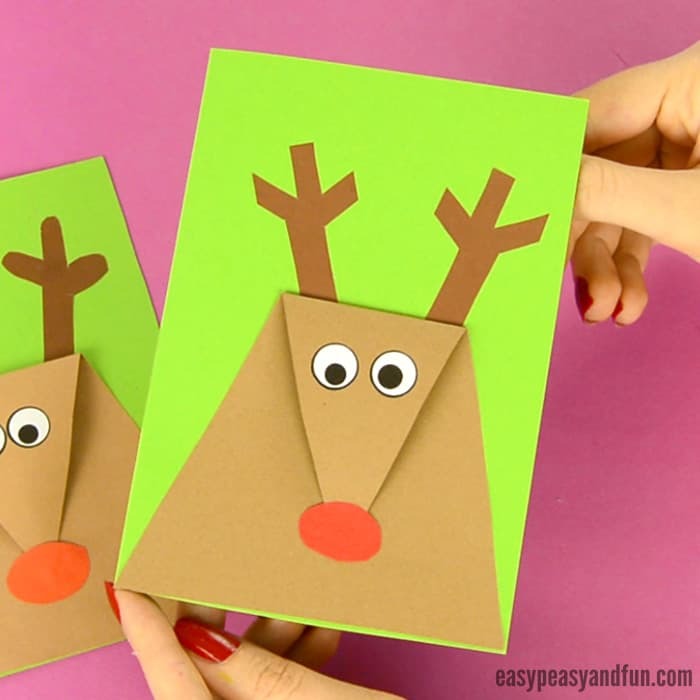 Let the reindeer stick out his tongue and reveal the message within. Kids will love making this one. 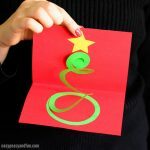 If you are looking for something elegant, this swirl Christmas tree card is certainly it. Great for adult crafters and older kids, this one is sure to wow the receiver. This one certainly looks unique doesn’t it?